I’m off tomorrow on a roadtrip with family to Central Australia. We’ll be gone a few days. I fly back from Uluru Friday next, returning just in time for placement. I’d say “follow along”, but it’s likely that there’ll be very little internet on the trip. I’m going to use it as a well-earned break! I’ll be taking plenty of photos which I’ll post in the days after I come back. So you can view them then! 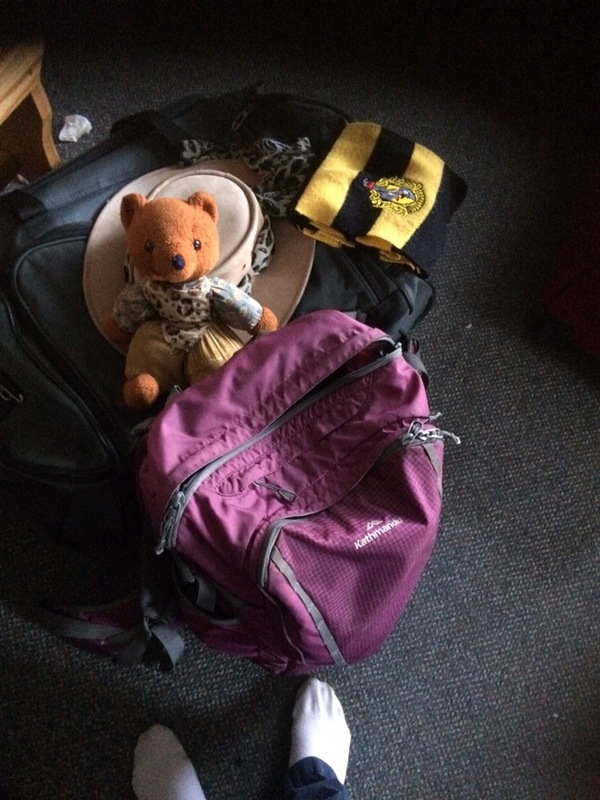 First up, here’s an intro to the subject of the photos (with my scarf, hat and bags): Womble Bear. I’ve had him since I was little and he’s going to be my travel bear 🐻 for the trip. Today I finished my mental health subject. I’m pretty pleased with my efforts. It was an intense subject, but so worth it. I’ve learnt so much. I’ve got placement coming up in a few weeks and will spend tomorrow doing some work for that – thinking about learning objectives and so forth. I’m thinking they’ll be about the client base, assessments and interventions, communication skills and self-management. I’m spending this evening doing a bit of work on life admin tasks. I was reflecting yesterday, I really like where I live. We’ve got a little community here and it’s great. We share food sometimes and look out for each other. Some of the community have just left as they were only here for six or so months. Others will arrive in mid-July. But until then, us year-long stayers will continue. I’m lucky. Life is good for me right now. How’s yours? I’ve been busy lately. My current uni subject is coming to an end, and I’m also preparing for placement. I’m also balancing extra-curricular projects like MIV and LaTUCS. Not to mention going back to my hometown for work and finding time to actually relax, to spend time with my friends or boyfriend or just do personal projects for myself. My OT course is helping, by giving me tools to explain how I feel/do things (we call these explanatory models), even as it’s stressful at times. There are life lessons I’m learning. Like, remember to set realistic plans for the day. I might want to get something done in one day, but realistically it might take one and a half days study, or two. Case in point: last week’s assignment was more challenging to wrap my head around than I realised – giving myself a strict time pressure/deadline wasn’t helpful. I ended up feeling quite stressed. But I used my resources – I emailed my subject coordinator, knowing from past experience she’d know what to say to put my study into perspective. As well, my boyfriend came over for dinner, before we went out to a choir workshop we’d been invited to (that was the deadline). Talking things through with and being close to him really helped. It’s the little things. I need to remember that as an overachiever (remember the impostor syndrome realisation? ), given that humans have an inbuilt “negativity bias”, I’m going to be harsher on myself for not getting x, y, or z done in the time I like – even if overall I’m still travelling well. Case in point: this week’s study for the exam. I had wanted to get “this much” done yesterday, but was hampered by a bit of a slow start and felt pressured. I couldn’t seem to get going as much as I liked to, until late in the afternoon. I did manage to feel happy with the day’s work, in part because when I got into the groove I let myself go an extra hour because things were flowing, instead of stopping work at 17:00. Later that evening after chatting over Facebook with a few fellow students, I realised that my version of “not enough done today” was quite possibly different to theirs (we’ll see – we’re catching up after class today to study together). In occupational therapy, we’ve learnt about several different models and ways of improving a person’s occupational performance and mental health. Some of these are commonsense approaches that OTs or other professionals have put a name to, or formalised. Like the concept of Activity Scheduling, where you schedule your day so that important things get done as well as fun things. I use Google Calendar for this and have been doing so since high school. I didn’t know there was a name for it until recently though! Activity scheduling (called a “time grid” in the third principle of this article, which talks about other related stuff) can be used in a general organisational context (as just noted) or a more specific therapeutic context. For example, if someone is depressed, scheduling activities can help get things done. This is of course done in a graded manner – i.e. start off with one little thing, then build it up. More information can be found about it here. If you’re interested in it for that regard, talk about it with a trusted health professional. Another concept is the model called, “Stress-Vulnerability Model”, first developed by Zubin and Spring (1977). It’s a model that uses symbols of a bucket/tank, rocks/etc., water and holes/taps to explain how each person has individual stress levels that are influenced by different factors – vulnerabilities, stressors and protective ones. People with more vulnerabilities generally have smaller “stress buckets”, because their vulnerabilities fill up the bucket first. When a person can’t manage their stressors, or doesn’t have enough protective resources, their stress bucket will overflow. That overflowing can mean different things for different people, but generally results in some sort of crisis – whether that be a relapse or increase in illness severity, or “just” an emotional outburst of tears or anger. Learning what one’s vulnerabilities, stressors and protective factors are can be useful, as a person can then learn how to manage those factors. A visual description of the Stress-Vulnerability Model is below. For more information, see here (original model publication, rather wordy) and here (simpler explanation). Professor Patrick McGorry is a leading researcher in the field of mental health. Read a bio here. He was Australian of the Year in 2010, recognising his pioneering work in early intervention. Here’s a lecture from him. Today, he’ll be speaking to my OT cohort in the afternoon! I’m so excited. Life’s been busy lately, as I alluded to last week. Here’s another MIV update – a particularly focused one. To recap what I’ve said before: intervarsity festivals bring together choristers from universities across the country for ten intense days of singing and socialising with a major concert at the end. My first festival, last year’s CIV2016, was one of the best experiences of my life and I made an amazing group of friends that just keeps getting bigger. Within the IV movement, I found my tribe. And I really want to help like-minded people find theirs. The IV movement is like one big family – we all have our little differences, which balance and complement each other. Within our IV family, people are free to be themselves. Sounds like a cliche, but I really believe it. Atm, MIV2018 are launching a fundraising campaign. We have an ambitious target of $20,000, to achieve in four weeks. So tonight we have a Thunderclap to boost our notice. Want to support us in that? It’s suuuuper easy. Just click on this link, choose whether to support it with Facebook/Twitter/Tumblr or a combination, click support and done! It’ll post on your behalf at 18:00 AEST. We also have a fundraising page over on Chuffed. Feel free to support us in that regard if you wish as well – there are perks which are outlined below. 🙂 If you don’t want to or can’t, no worries – but do you think you could pass the chuffed link on? That’d be fantastic. If you want more information about the IV movement in general or MIV2018 in particular, check out aicsa.org.au and miv.org.au respectively. Registrations for MIV2018 open soon – sign up to the mailing list if you’re interested! I can’t wait until the festival. It’s going to be great! For another example of what IVs mean for people, read on below about my friend and fellow organiser, Alex. She’s been singing with MonUCS, her local university choir, for 11 years now. Alex joined MonUCS on her first day of university, and it changed her life for the better. Singing in a choir gave her confidence and a sense of achievement. When Alex heard about the Intervarsity Choral movement she felt a little shy but decided she wanted to attend a Festival, and her life changed forever. Alex has friends all over the country, an opportunity to travel, to sing, learn and spend time with passionate, like-minded individuals. Alex is a high school teacher now and shares her love of singing with her students. 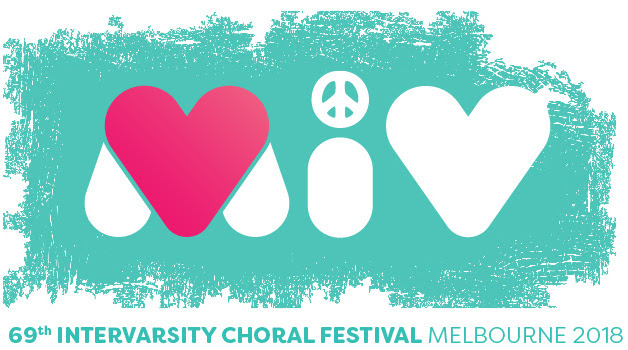 To help other people like Alex discover the IV movement and find their voice, the Melbourne Intervarsity Choral Festival is planning to perform an ambitious concert in Melbourne Town Hall. The concert will offer the people of Melbourne a musical experience never heard before in Australia and will provide singers from universities around the country, Melbourne high schools and the wider community a chance to be a part of a groundbreaking, history-making performance. We’re passionate about our project, but we need your help. Our goal is to raise a total of $20,000, and your help is invaluable! 4. donate over $250 to receive everything in level 3 PLUS an exclusive MIV goody bag. 6. donate over $1000 to receive everything in level 5 PLUS 2 free VIP tickets, PLUS a program signed by our musical director and soloists. The two highest donations received will get a personal meet & greet with our soloists, musical director, and festival convenors after the performance. Hi all. The 11th of June has come and gone (seven months until the Festival! O.O 😀 ) so here’s another MIV2018 update. Yay! Firstly, in terms of my own role, there have been a few “secret-social-organising” things that have occurred. Secret because they’re not cleared for release by committee yet! 😉 Let’s just say they involve emailing people, visiting places and coordinating arrangements. I can’t wait! The MIV AGM is coming up, with a social event (which I created the description for) afterwards. If you’re in Melbourne and interested in singing and festivals, why not come along? More from me at the bottom. It’s cold, it’s dark, it’s hard to get out of bed in the morning. It feels like winter is here to stay, but fear not! MIV and the summer of ’69 is only seven months away! This month, we have some really cool news for you. A huge amount of work is going on behind the scenes to organise an amazing festival. Without further ado, we’re incredibly excited to reveal some of the repertoire for MIV18. We can’t tell you everything just yet (life needs a few surprises, after all), but we can tell you that we will be performing Parry’s I Was Glad, Vaughan Williams’ Toward the Unknown Region and Brahms’ gorgeous Alto Rhapsody (Alex would like to remind you all that altos are 1000% worth rhapsodising about). Standing on stage in the Melbourne Town Hall, backed by the beautiful Grand Organ, these pieces are going to be an absolute blast to sing and we can’t wait to have you there with us. Excited yet? Head over to our Facebook or hit us up on Twitter #MIV2018 to let us know what you think! Let’s eat, drink, create and be merry. The longest night of the year has passed, exams are over for the semester, the first concert season completed – what more could we ask for than to gather with friends? RSVP today! 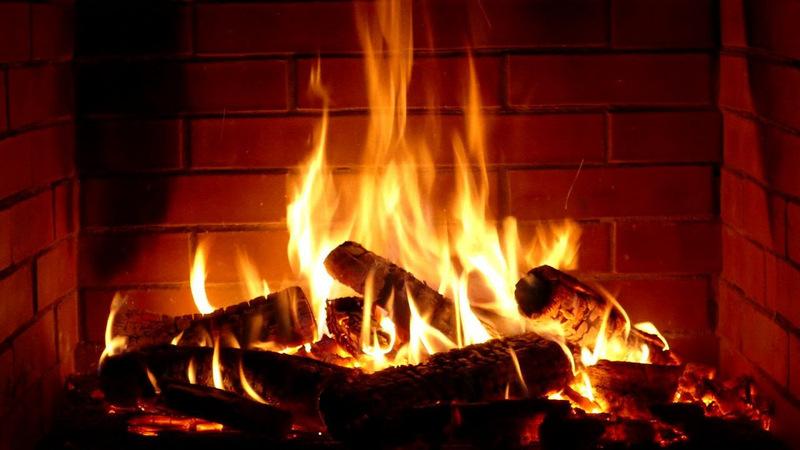 We can’t wait to warm up with you. I haven’t written anything for over a week and that feels weird. I’ll have to schedule a few posts. But it’s going to be a semi-regular occurrence for the next little while potentially. I’m busy with uni stuff. Come July, that will be placement, where I travel an hour each way and have full eight-hour workdays (including lunch break), full-time for four weeks. So we’ll see how things go. Also, the last few days of June and the first week of July (riiight before placement) my family are going on a road-trip holiday. I hope to take lots of pictures and so on, but it’s likely that I won’t be able to upload them or write about them on here until we get back. I’ll post more about that before I leave. The other day, I made reference to a calendar for seasons in Australia. I wasn’t entirely happy with it because the only one listed for Victoria had its position in Gippsland. I wanted to find a Melbourne/other one and I have now, sort of. See this link: Gott, B. (?date published?). Seasonal Calendars for the Melbourne AreaSeasonal Calendars for the Melbourne Area. Interesting stuff and it makes sense, even if it’s a bit outdated (parent website’s “Modern Victoria” section still lists Melbourne’s population as 3.2 million… it’s 4.5 million plus now). Anyway, Victoria has six or seven seasons. A graphic explaining these is below (with its text underneath), all taken from the website, which has a lot more detailed information. It’s talking about information collected a while ago, so things may have changed since. These seasons aren’t set in stone or always going to be as below. Last year, “True Spring” was not very warm, for example. But it’s still a reasonable “Australian Seasons” calendar. High Summer: November to January. Warm to hot; native grasslands grow tall and set seed. Birds feed their young. Late Summer: February to mid-March. Hot, humid, thunderstorms. Grasslands dry out; high fire danger. Early Winter: mid-March to May. Cool, still and misty. Birds flock and migrate north. Fungi growing. Deep Winter: June to mid-July. Cold, wet; rough seas. Visits from Antarctic birds. Pre-Spring: mid-July to August. Warming. First flowers. Birds begin nesting. True Spring: September to October. Warm, wet, windy. Abundant flowers and insects.